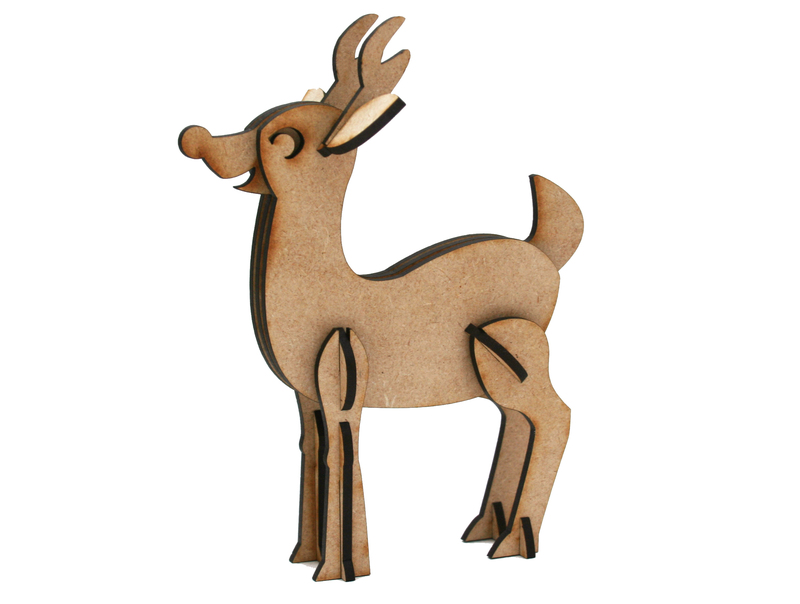 I have a new “look” to my Etsy shop! I updated my banner to a design that I feel is more chic and modern. 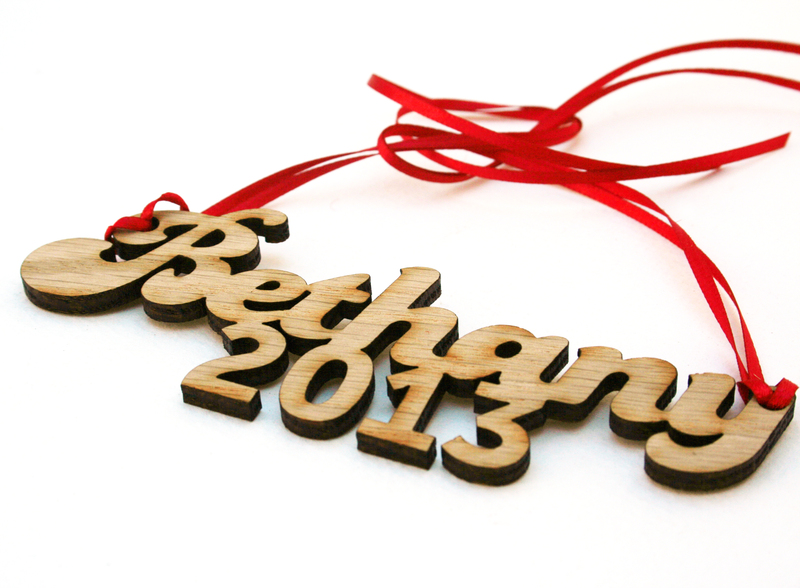 Soon I also plan to update some of the product photography. Go check out the Sofia Invitations Etsy Shop here! I drove 1.5 hours north-east from where I am Spartanburg, SC…. 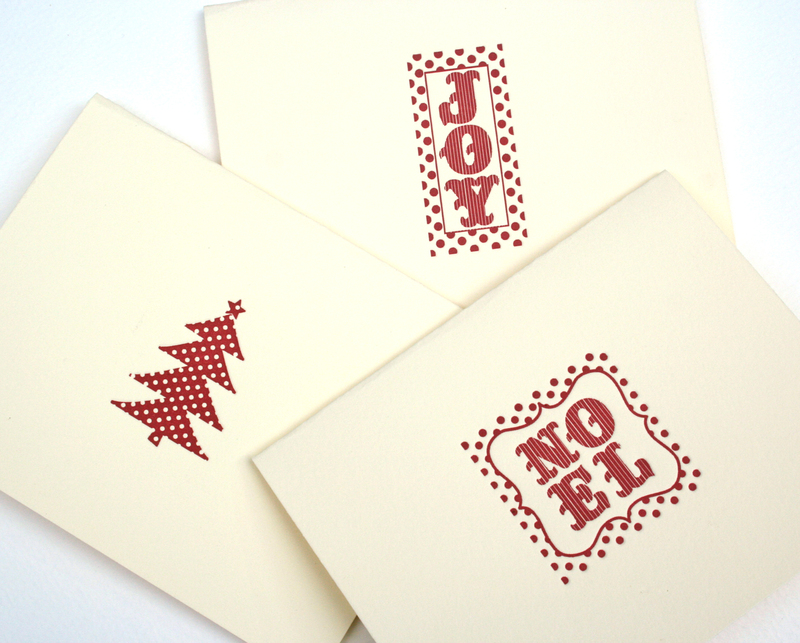 to Asheville, NC on Saturday to check out the Ladies of Letterpress Conference. It was a fantastic event! 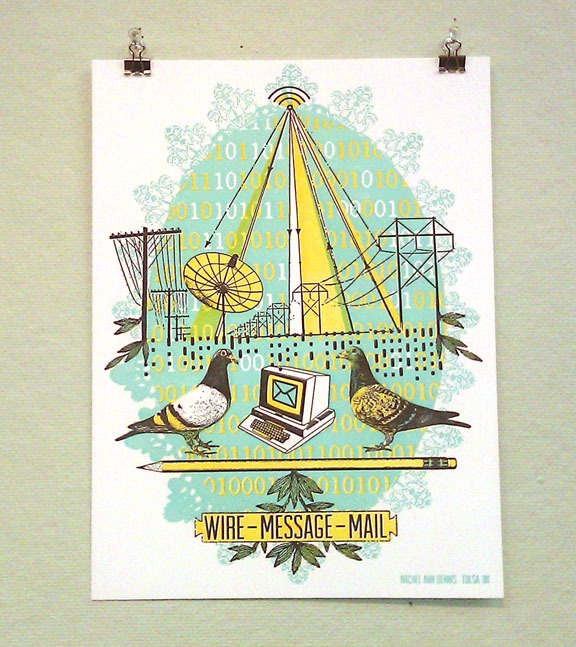 I met Rachel Ann Dennis, a fantastic printmaker. She made this beautiful print that I just had to share! 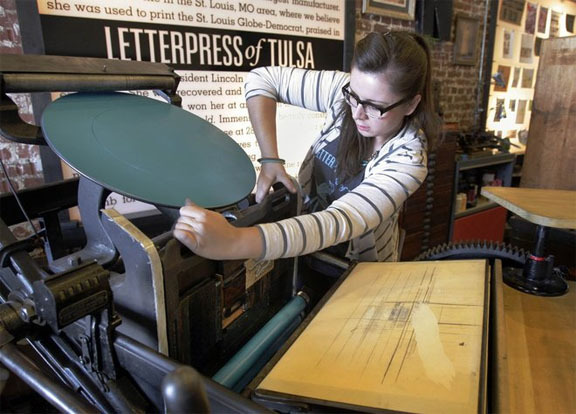 Here is a picture of the print and of her printing at The Letterpress of Tulsa. 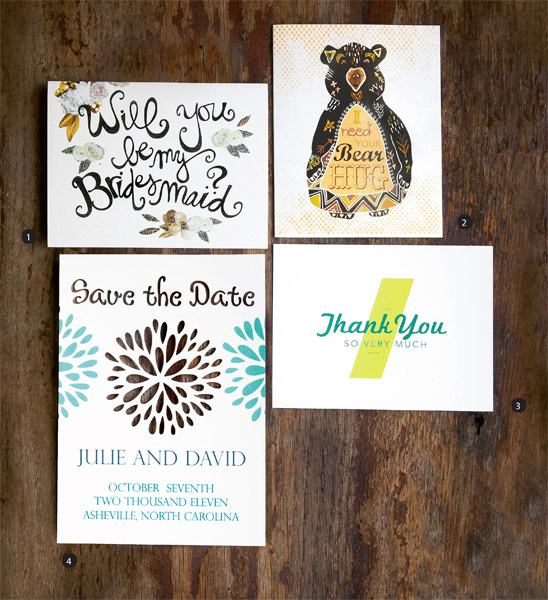 I printed this lovely invitation a few weeks ago for a customer getting married in Greenville, South Carolina…..not far from where I print my designs in Spartanburg. 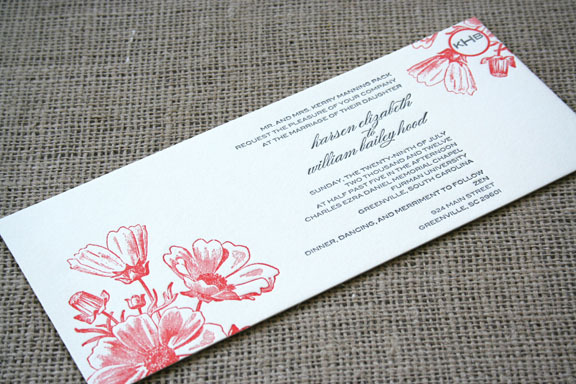 It features a vintage cut of a floral design, with modern fonts, and a pretty striped envelope liner! 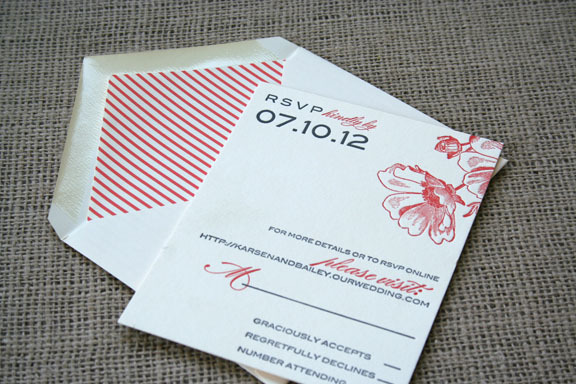 The couple’s wedding colors are coral and grey….very modern and chic! What do you think? 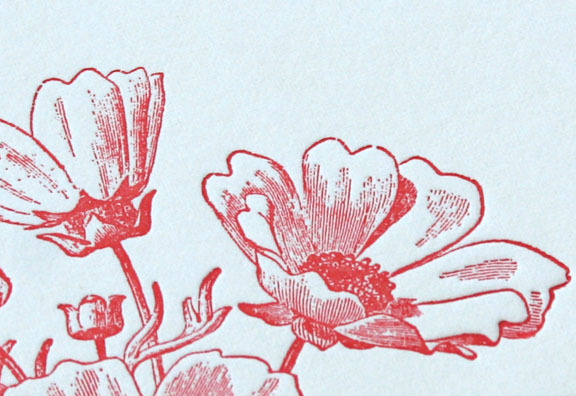 Here is a picture of myself printing a letterpress wedding invitation order. Click here to go to the Sofia Invitations and Prints Facebook page to see a video in action! I am so excited to announce that my die cut blossom save the date card has been featured in Town Magazine! 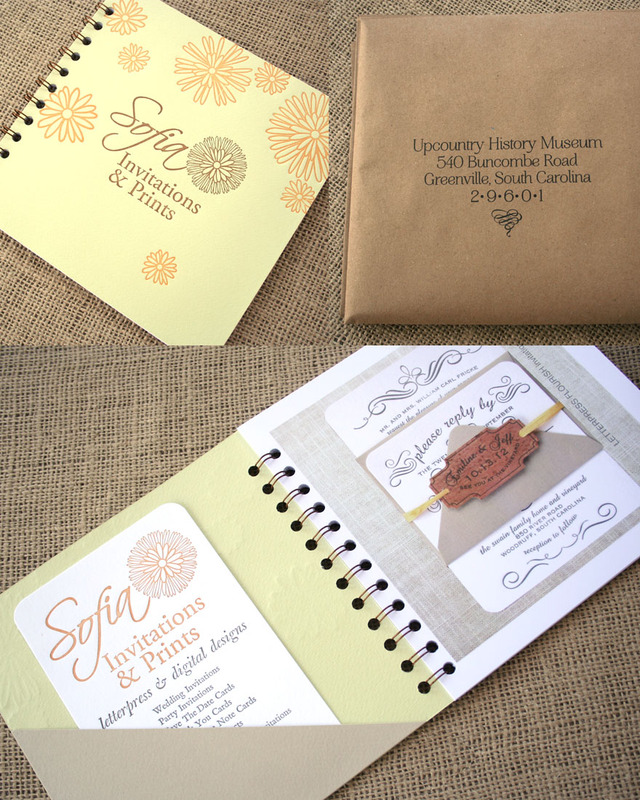 The feature is about local stationery designers to the Greenville/Spartanburg Upstate South Carolina area. Thank you Town! You can purchase the design here.